Not making a mistake when choosing a new house is sometimes difficult. Because experienced owners know how to present their properties in such a way that even the ugliest houses start to look like mansions. Real Estate has become a large business that comprises many laws to follow. It deals with broad issues like boundary disputes, ownership and transaction disagreements, purchasing, selling properties and lot more is included. Typically it focuses on buying and selling, also the arguments between proprietors and residents. Because of which sometimes, a civil lawsuit takes place between the two parties. This lawsuit is called litigation. With the General Data Protection Regulation (GDPR) compliance deadline fast approaching, we wanted to provide you an update so you can rest assured that we are prepared for May 25th, 2018. It’s the beginning of a new era of transparency and we’ve got you covered. What is RealtyWW Info doing to become GDPR compliant? In addition, we’ve taken steps internally to ensure that all data sent to RealtyWW Info is stored securely. These steps include auditing the software we use for security vulnerabilities, ensuring we’re using up-to-date versions, improving network security in out datacenter, and ensuring we maintain and follow security best practices internally to ensure that we prevent unauthorized access to our servers. Owning investment real estate can be a great way for anyone to earn cash flow and build long-term personal wealth. While real estate can be a great and passive source of income, there is some work and risk that is involved with it. 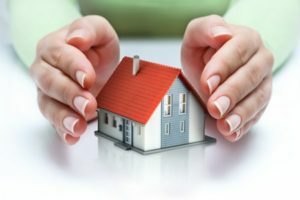 One of the risks that all landlords take on is the risk that their tenants or guests of the tenants will be injured while they are in the landlord’s property. Personal Injury Claims? Does My Homeowner’s Insurance Cover That? In most cases the homeowner’s insurance policy will cover personal injury. But not everything is covered by homeowner’s insurance and there will be situations with exclusions. Ensuring our safety is considered as the basic necessities of a typical household. This means having a sort of backup plan in case accidents happen and you currently have no petty cash to pay for hospitalization. What Are The Consequences Of A DUI Charge On Federal Property Or In Federal Jurisdiction?